Ready for a challenge but prefer a more intimate group? Well look no further because our next IC HOT Mama Challenge starts in just two weeks!!! HOT Mama is a mindset! There are plenty of reasons to feel less than your best…new baby, work stress, or maybe you’re just in a rut. 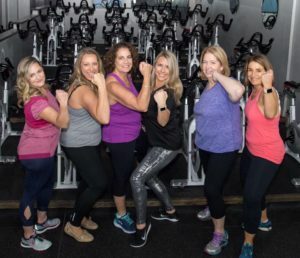 This program is for women of ALL ages, sizes, and fitness levels who are looking for a small-group intensive program that will truly transform the way they THINK and FEEL about themselves. This will be our 7th series, and if our past six groups are any indication, this challenge will also change the way you look. 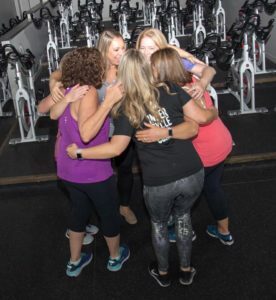 Our graduate HOT Mamas have reported losing anywhere from 5-31 pounds, and have walked away with a life-changing outlook that they could carry on by themselves moving forward. Most have continued to lose weight following completion of the challenges, but most importantly, they’ve walked away stronger, more vibrant versions of themselves, with new friendships that will last a lifetime. Small, intimate group of COMMITTED Challengers for 8 weeks. UNLIMITED Spinning at any IC location from 4/14-6/8. Private Facebook group to share daily struggles, wins/recipes, pics, & motivation. Weekly FIT homework assignments to add muscle conditioning to compliment your already killer cardio from spinning, as well as lifestyle focus assignments to truly bring out a more vibrant version of you. Mandatory private spin class led by Amie S., fearless leader of the pack! *Sundays 10:30am-12:15pm at the Beverly studio. Must spin 2x per week in addition to the private Sunday class (included in challenge price). Photoshoot/end of challenge potluck party to celebrate feeling your best! Optional beginning/middle/end of challenge measurements and weigh-ins. Amazing final prize for the winner of the ULTIMATE HOT MAMA. 4/14, * Saturday, 4/20 Easter weekend, 4/28, 5/5, *Saturday, 5/11 Mother’s Day weekend, 5/19, 5/26, 6/2, Photoshoot and celebration on Saturday, 6/8. *Please note that you are still able to participate in this challenge if for some reason you are unable to make every private class. *If you currently have a monthly unlimited pass, it will be put on hold for this series, and if you have an active ride card, it will be extended for 8 weeks. $275 for 8 weeks, includes unlimited spinning plus everything mentioned above! How HOT is that?!?! What do you have to lose??!! Well, just ask any one of the previous HOT Mamas that have participated in this challenge. They dropped their fatigue, insecurity, brain fog, and up to 31 pounds!!! The results of our previous challenges were really unbelievable. All of the girls reported inches gone, more energy, better healthy habits, lots of pounds shed, and lifelong friendships built. See for yourself… this is a picture of the fearless leader herself, who coaches and leads by example, every step of the way! During the first HOT Mama challenge Amie lost 18 pounds, 2 sizes, and reclaimed her groove back after getting married and becoming a real-life Mama to their beautiful baby boy, Andrew. She has kept it up and continues to lose weight and feel great! Challenge dates are 4/14-6/8. The photoshoot/party will be held on Saturday, June 8th in the Beverly studio. We are looking for a committed group of women. The mandatory spins will be held on Sundays at 10:30am in Beverly location. The remaining weekly spins can be done at any of The IC locations. Interested in HOT Mama but the Sunday commitment at the Beverly studio is just a bit too challenging with your schedule? Introducing Virtual HOT Mama!!! For 8 weeks Amie Samuylov will guide you through sustainable fitness, lifestyle, and nutritional changes online while you crush your killer cardio classes at any of Inner Cycle’s 4 badass studios. Private Virtual HOT Mama group page on Facebook. This will be where you will find daily inspiration, meal plan ideas, the camaraderie of other ladies, etc. Final party/photoshoot in Beverly, Saturday, June 8th. Warning…once you HOT Mama you won’t want it to end!!! So what’s next?!!! HOT Mama X-treme!!!!! 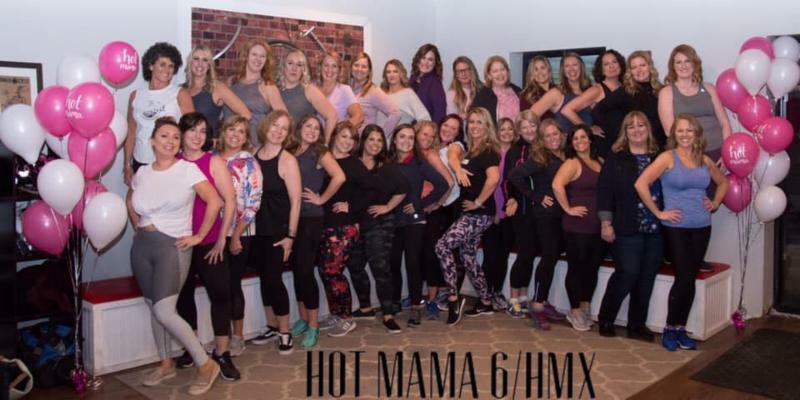 HMX is for ladies that have completed the HOT Mama challenge looking for either a revisit or a next level more refined approach to the skills learned in HM. 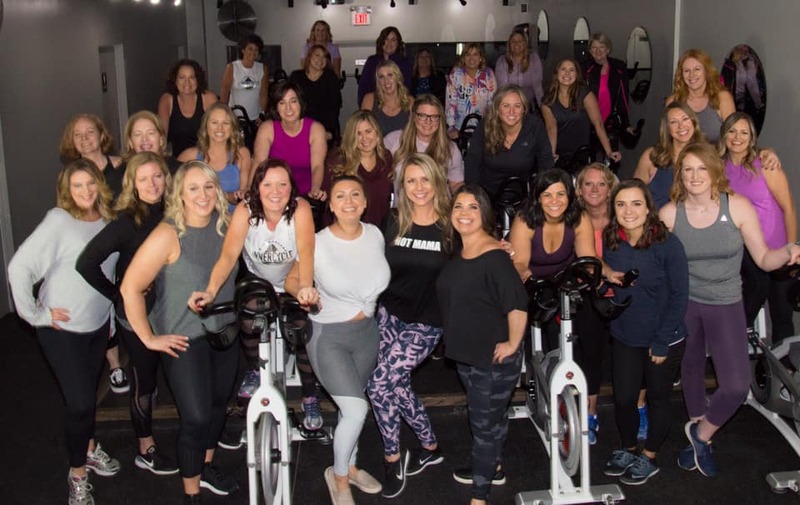 You ladies have mastered the concepts of HOT Mama-sustainable changes to diet, fitness, and lifestyle that have brought out a more vibrant version of “you” that you can maintain for years to come! Bad habits have been broken and new sustainable healthy habits have replaced them….HMX will challenge you and bring you to that NEXT LEVEL!!!! Get ready to get that first HM feel back by turning up the dial a bit physically and nutritionally to break through plateaus and see what we are made of!! HMX will still be doable and sustainable…but definitely GAME changing!! For 8 weeks you will recommit to making YOU a priority and solidifying the positive lifestyle changes you have created in HOT Mama. 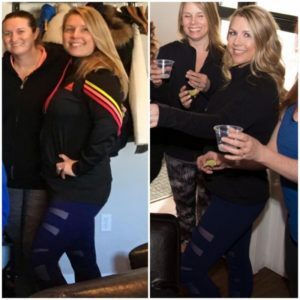 If our last 3 groups are any indication you will continue to see success in weight loss by continuing to focus on your new healthy HOT Mama lifestyle. The average weight loss was an additional 9 lbs gone and up to 24 lbs!! Some ladies losing up to 50 lbs between the 3 challenges!!! 4/14, * Saturday, 4/20 Easter weekend, 4/28, 5/5, *Saturday, 5/11 Mother’s Day weekend, 5/19, 5/26, 6/2, Photoshoot and celebration on 6/8. Introducing HML- HOT Mama Lifestyle! We could not be more excited to introduce our new HOT Mama program, the HOT Mama Lifestyle! Once completing HOT Mama and HMX you ladies are truly equipped with all the tools needed for continued success! Those tools have become ingrained habits and now is the time to enter into the lifestyle phase of the program! We ALL need accountability to ensure we stay on track! Once a month we will come together to ride as a HOT Mama team led by the one and only Amie Samuylov- your HOT Mama Mama! You’ll weigh in and get measured to stay honest and on point. Amie will provide you with your month of fit assignments and as a group plan out some pretty amazing HOT Mama takeovers for the month! At the end of the 3 months the group will celebrate with a super fun scavenger run/walk bar crawl- which is bound to be EPIC with the tight crew that has become the HOT Mama Vets. Private class 1/month led by Amie S.
*Note: cost is additional to an active Inner Cycle package. Monthly drop in rates are available for $50/month subject to availability. *First HML group kicks off 4:30pm on Sunday, 5/5.